It's October, and my VERY FAVORITE time of the year! 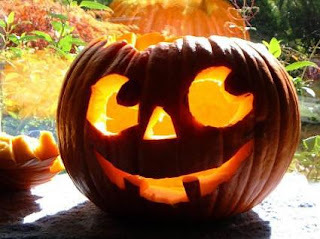 I love the Fall, love Halloween, love the music, love everything about it! For me, this month begins with my 11 year wedding anniversary today! Wow, it's amazing how fast time flies! CHECK THE CALENDAR PAGE!!!! I have NEVER seen our events calendar so full! Almost every day there are at least 15+ activities going on! There are so many that we haven't had time to blog about them all, but we did get them added to the calendar for you. We will be choosing a few really exciting ones during the month to blog about, but please make sure you check the calendar! Hunt Mysteries Dinner Theater! A week from today, on Friday October 8th, Hunt Mysteries has invited Enjoy Utah! to Spaghetti Mama's in Jordan Commons to view a performance of their murder mystery dinner theater. Click on the title to be taken to the page for more information on how you can get tickets. Make sure you mention that you are with Michelle Powell, and they will give you $2.50 off each ticket, and seat you at our table! I would love for many of you to join me! Halloween Activites: Have you checked out our list of Halloween events and activities page? Wow, there are SO many things going on! These are all listed on the calendar, but on this page you can view them by county or category. Now all we need is more days in October to do them all! Halloween Music and Movies: Now is the time to start pulling out those classic, fun, Halloween movies to watch with the family! CLICK HERE for a list of our top picks. If we have missed any, email us! It's also time to resurrect the fun Halloween music! CLICK HERE for a fun playlist, and make sure you join Squawkbox Sound on their blog starting Monday October 4th for a countdown of fun songs for your Halloween party that you may not have thought about! Make sure to view our full list of Fall picks like fun Halloween stories, where to see the Fall leaves, a great booklist for October, Utah's Ghost Towns, cool cemeteries, and many more! DISNEY ON ICE! The first winner will be chosen on Monday October 11th, and then every Monday for the following three weeks. CLICK HERE to view all of the many ways to enter! And remember, if there is ever anything you would like us to look into or blog about, make sure to email us at enjoyutah@q.com. Thanks!